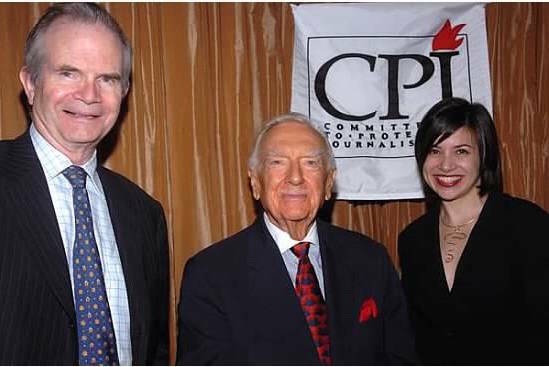 Ten years ago today, the Committee to Protect Journalists honored iconic CBS news anchor Walter Cronkite for 25 years of service as CPJ’s honorary chairman. 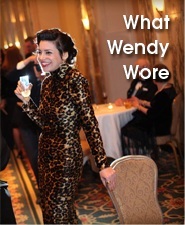 MrB and I were there! Here’s a goofy photo someone took with my camera. And here’s Getty Images more serious, action shot, in which I’m identified as “guest.” LOL. If Brian Williams ever tells you he was there too, he ain’t lying. There’s photographic evidence. Walter Cronkite died on July 17, 2009, at age 92. If you’re too young to be familiar with Cronkite’s work, you can see seven of his most memorable moments here, including his reporting on the assassinations of John F. Kennedy and Martin Luther King Jr.
Walter Cronkite was very tan! !